Knowledge of key concepts. 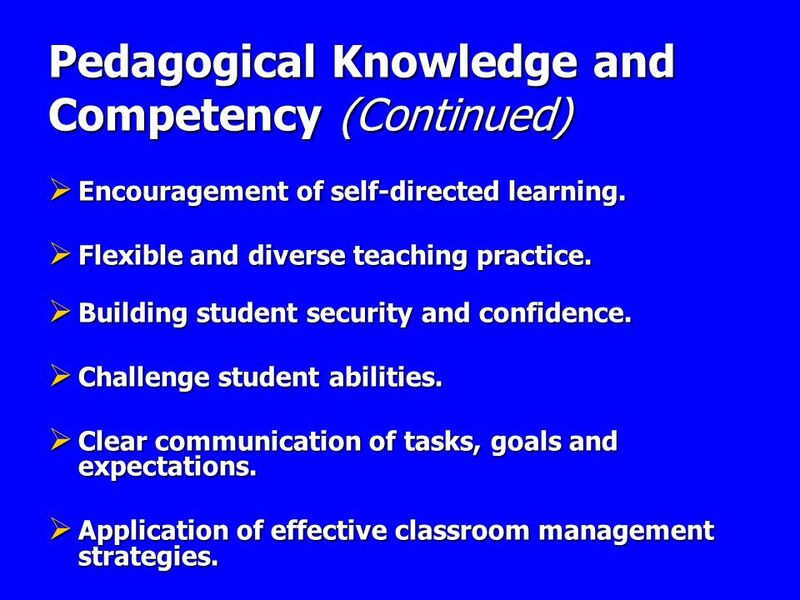 Knowledge of governing curriculum. The teaching of relevant and engaging content. Knowledge of available resources and technologies. Awareness of different learning styles. 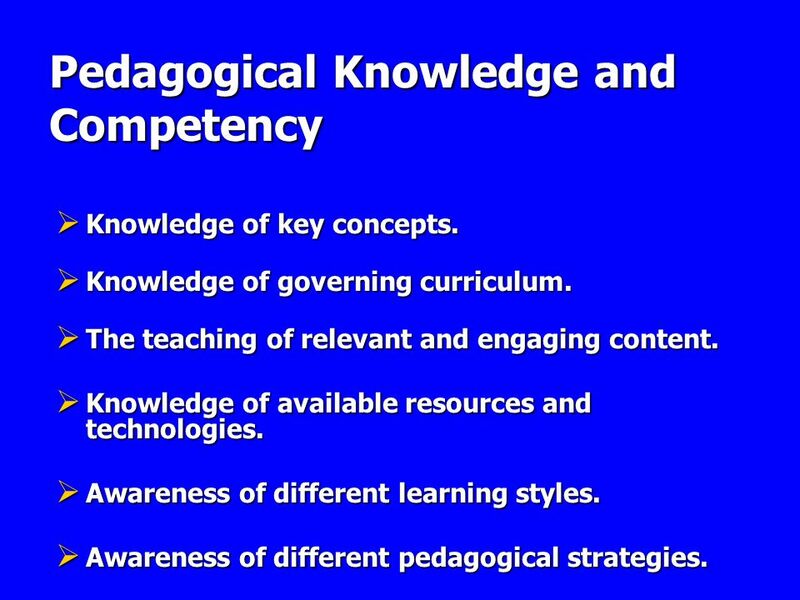 Awareness of different pedagogical strategies. Encouragement of self-directed learning. Flexible and diverse teaching practice. Building student security and confidence. Challenge student abilities. Clear communication of tasks, goals and expectations. Application of effective classroom management strategies. 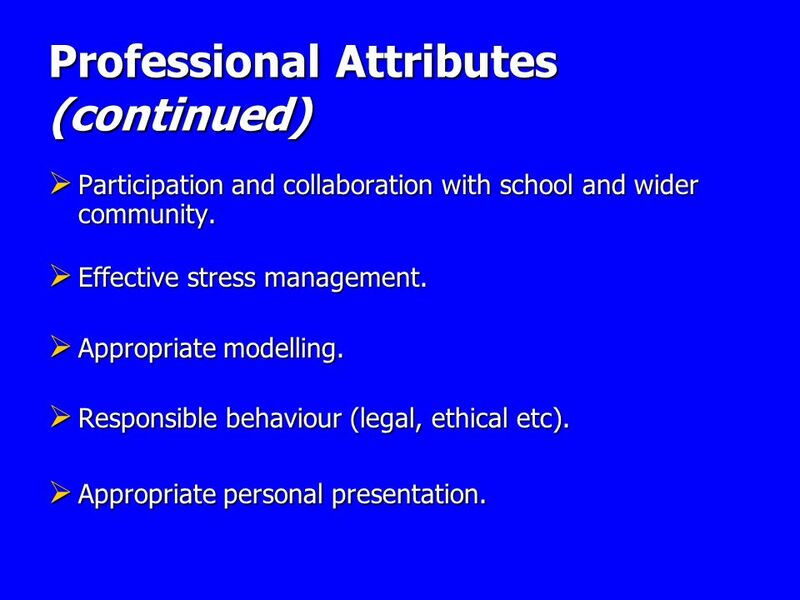 5 Personal Attributes Modelling student respect. Empathic understanding. Nurturing. Passionate about learning. Personally committed to teaching as a vocation. Fair and non-authoritarian. Personal authenticity. Effective interpersonal skills. Advanced communication skills. Confident teacher presence. Self-insight and self-control. Reflective practice. Time management skills. Evidence based self-correction. Seeks feedback and constructive criticism. 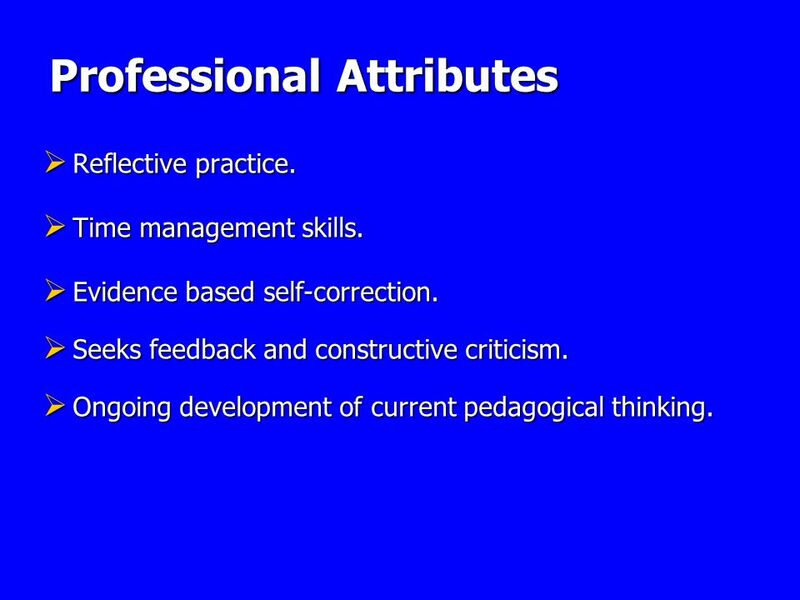 Ongoing development of current pedagogical thinking. Participation and collaboration with school and wider community. Effective stress management. Appropriate modelling. Responsible behaviour (legal, ethical etc). Appropriate personal presentation. 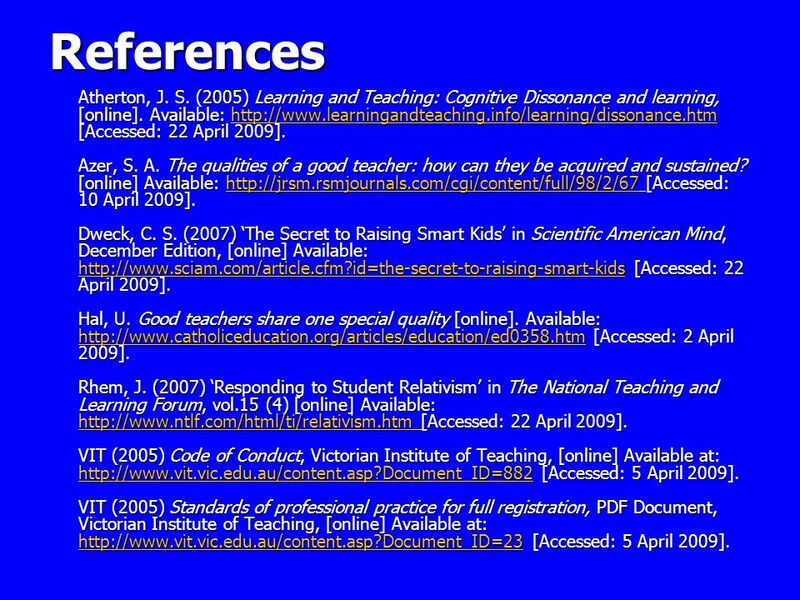 9 References Atherton, J. S. (2005) Learning and Teaching: Cognitive Dissonance and learning, [online]. Available: [Accessed: 22 April 2009]. Azer, S. A. 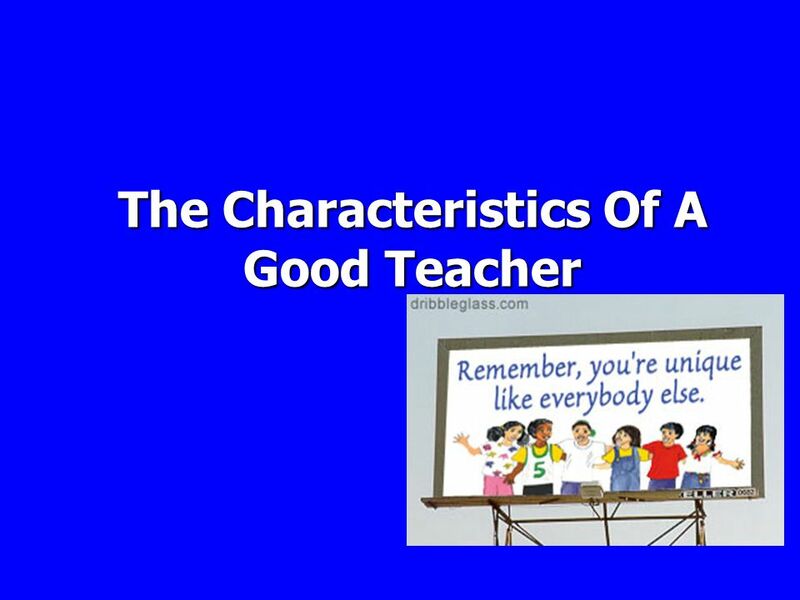 The qualities of a good teacher: how can they be acquired and sustained? [online] Available: [Accessed: 10 April 2009]. Dweck, C. S. (2007) ‘The Secret to Raising Smart Kids’ in Scientific American Mind, December Edition, [online] Available: [Accessed: 22 April 2009]. Hal, U. 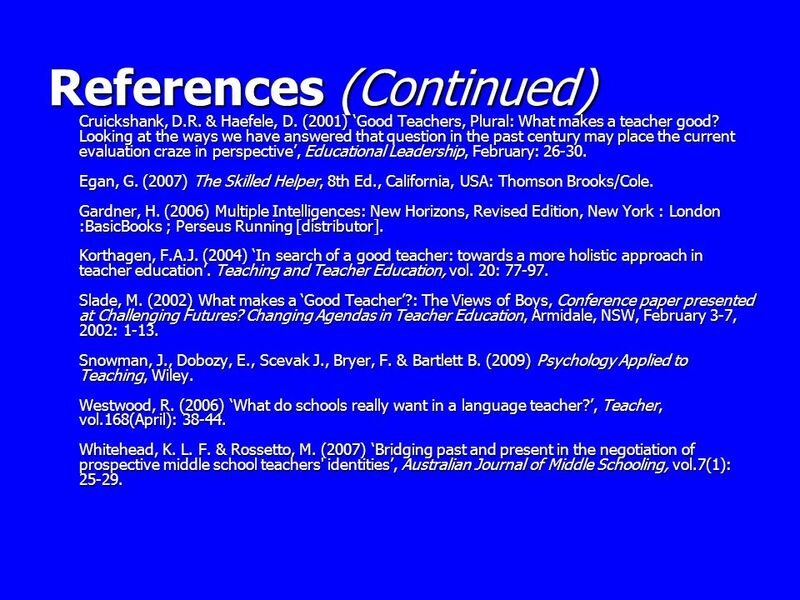 Good teachers share one special quality [online]. Available: [Accessed: 2 April 2009]. Rhem, J. (2007) ‘Responding to Student Relativism’ in The National Teaching and Learning Forum, vol.15 (4) [online] Available: [Accessed: 22 April 2009]. VIT (2005) Code of Conduct, Victorian Institute of Teaching, [online] Available at: [Accessed: 5 April 2009]. VIT (2005) Standards of professional practice for full registration, PDF Document, Victorian Institute of Teaching, [online] Available at: [Accessed: 5 April 2009]. 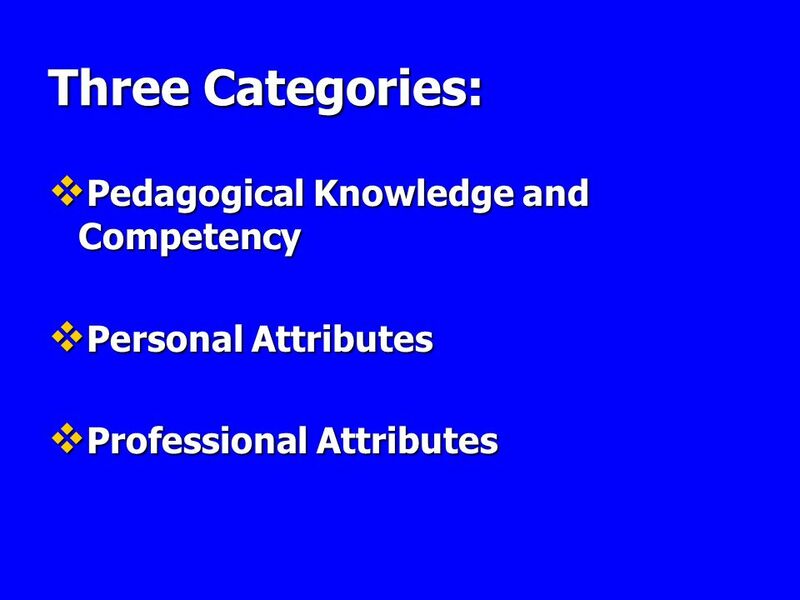 Download ppt "The Characteristics Of A Good Teacher"
University of Huddersfield School of Education & Professional Development Inspecting Citizenship. Preparing to be a Faculty Member: What Do I Need to Know about Faculty Work? CIRTL Cast Ann E. Austin Professor, Higher, Adult, and Lifelong Education. AUSTRALIAS APPROACH TO SCHOOL BULLYING AND VIOLENCE THE NATIONAL SAFE SCHOOLS FRAMEWORK. The Changing A level Curriculum 20th April 2006 GA Conference David Gardner QCA. What It Means to be a Professional Learning Community Kelly Gillespie, Southwest Plains Regional Service Center. DEVELOPING ACADEMIC LANGUAGE AND TEACHING LEARNING STRATEGIES Anna Uhl Chamot Jill Robbins George Washington University.